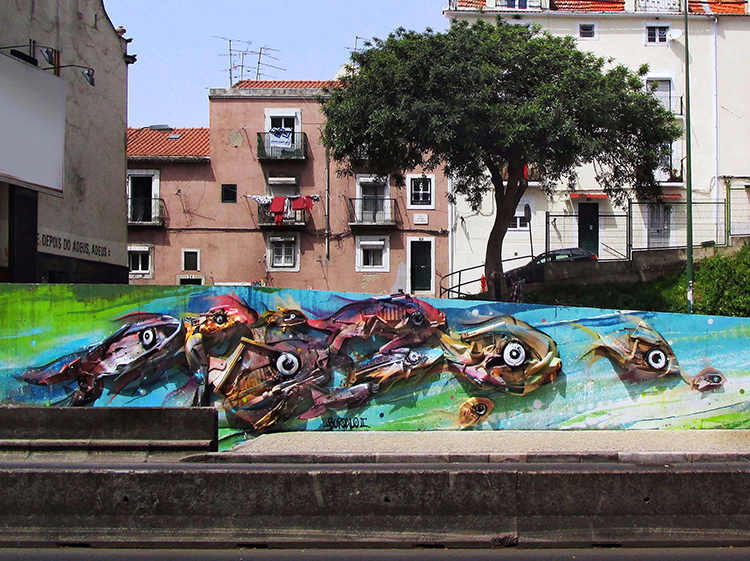 A recycled mural of larger-than-life fish swimming along a platform in Lisbon. Credit: Bordalo II. From “Big Trash Art” by Katarina Katsma, ASLA, in the July 2015 issue, featuring Lisbon-based artist Bordalo II and his recycled murals that call attention to the detrimental effects of humanity’s waste.